With significant numbers, Brasil Game Show has already consolidated itself as the largest gaming event in Latin America and one of the main events of the world. In ten editions, more than 1.5 million visitors attended BGS and could enjoy thousands of games, exclusive attractions, and see the big names of the industry worldwide, such as Hideo Kojima, Phil Spencer, Nolan Bushnell and Ed Boon. To help people remember or find out the highlights of the event history and get to know the details and backstage of the incredible journey that started in 2009 in Rio de Janeiro, BGS launched a special edition of “Brasil Game Show – The Book” published by Europa, with chapters about the ten editions, including historical BGS10, texts in Portuguese and English, hardcover, exclusive packaging and fully revised layout. In a limited edition, the new book is already available for purchase at BGS website (www.brasilgameshow.com.br ) and it costs 99 BRL. More than a summary of the 10 editions of Brasil Game Show, the book brings the inspiring story about the entrepreneurship of Marcelo Tavares, creator of the event and one of the biggest collectors of games in Brazil, with a collection of 350 consoles of all generations and more than 4,000 games. “Our goal is to share with gamers not only the main moments of the event, but also some striking episodes of the industry history in the country,” says Marcelo, noting that the book also tells a bit about his personal path, that began as a passion for video games in his childhood and became the dream to bring BGS to more than 300,000 visitors on each edition. “In this book, the reader will follow the first part of a long road that is far from over. The 11th edition of BGS in 2018 already has big names confirmed and promises to be even better than the last and the beginning of a new chapter,” he adds. More details about the special edition of Brasil Game Show – The Book are available HERE. The 2018 edition of Brasil Game Show will take place on October 10th-14th at Expo Center Norte, in São Paulo. The event already has two major international names confirmed: Katsuhiro Harada, director of Tekken, one of the most iconic series of fighting games, and Howard Scott Warshaw, one of the first developers of electronic games and author of several famous Atari titles, such as the game E.T. the Extra-Terrestrial, Yars' Revenge and Raiders of the Lost Ark. Over the next few months, many new features will be revealed. The first batch of tickets is already for sale. Until February 8th, it is possible to buy them at 50% off the prices of the final batch. The half admission cost is 55 BRL and the passport for the four days of the event goes for 165 BRL. By acquiring a passport, one day of the event will be free. A novelty of the 11th edition is the Fast Pass ticket, which allows the visitor to enter the event one hour before the official opening on the days open to the public. It costs 110 BRL (half admission price). Those who donate 1kg (approx. 2 lbs.) of non-perishable food at the entrance to the event, students, seniors, teachers, and people with disabilities are entitled to the half-admission benefit. 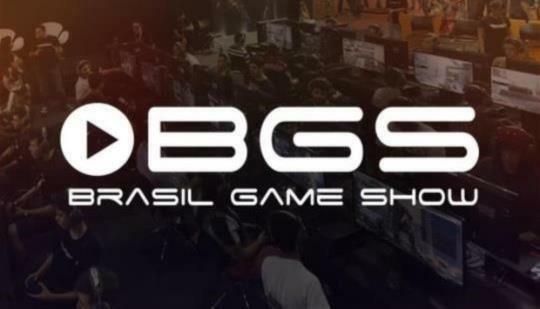 All news about Brasil Game Show can be seen at www.brasilgameshow.com.br .